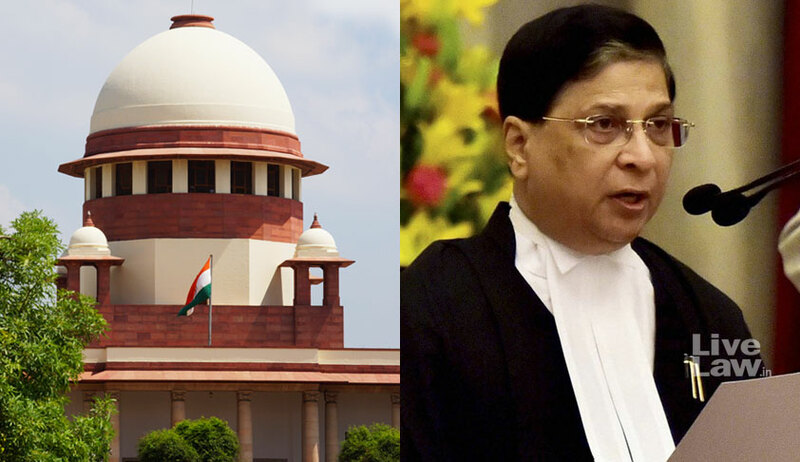 Chief Justice of India Dipak Misra today announced in open court that he and all Supreme Court judges will be contributing to the Kerala flood relief fund. “We are also going to make some contribution..it will be made known soon. The judges of the supreme court will be making some donation,”CJI Misra said. The remarks came during a discussion on the type of penalty to be imposed on one Mr. Vimal Wadhwan, General Secretary of an organization called Bhartiya Matdata Sangathan (BMS), who had made certain comments and cast aspersions on CJI Misra in his written submissions submitted after the bench, also comprising of Justices AM Khanwilkar and DY Chandrachud, reserved its orders. The matter pertained to a PIL challenging the permission to an individual to perform the dual role of a lawyer and a legislator (MP/MLA). The PIL had asserted that an MP or an MLA should not be allowed to practice law as it is violative of Bar Council of India rules. An intervenor in the matter, BMS had taken the example of Chief Justice of India Dipak Misra’s cousin, Senior Advocate Pinaki Misra, who is also a Member of the Lok Sabha, representing Biju Janata Dal, to elaborate on the reasons for disallowing MPs/MLAs to practice law simultaneously. While Wadhwan apologised for the allegations, Attorney General KK Venugopal, as well as Senior Advocate Shekhar Naphade, supported imposition of fine on him. The AG then suggested that the fine amount should go to Kerala flood relief fund. “Kerala has been battered and bruised.. it will take ten years to recover. When we go back the houses which were there is no longer exists. Scores of houses washed away. The destruction is huge. The situation is really bad,” he told the bench, adding, let the “fine amount go to the relief funds”. When the CJI said that all of them will be contributing, the AG said, “anything is welcome at this stage. It will be a great gesture”. BMS, which is an intervenor in the case, submitted that CJI Misra’s cousin, Senior Advocate Pinaki Misra, who is also a Member of the Lok Sabha, representing Biju Janata Dal, appears in several important cases before the High Courts as well as the Supreme Court. It explained, “For instance, he is presently representing the NBCC in Delhi High Court in WP(C) 6680/2018, Kaushal Kant Mishra v. Union of India, where the petitioner in public interest has challenged the sanctions and clearances granted by the Government to felling of thousands of trees in Sarojani Nagar, Netaji Nagar, Nauroji Nagar and 4 other areas in the heart of Delhi in the name of redevelopment. With this example, BMS went on to highlight the concerns raised against permitting legislators to practice law, emphasising on the conflict of interest that arises in such situations. It submitted, “India needs dedicated and full-time MPs and not the part-time MP like Mr. Pinaki Mishra. We cannot have Legislators who are sailing in two boats at a time. It is impossible for a person to look after the nation on one hand religiously and practice other profession simultaneously. It further asserted that for an Advocate to take fee from a private litigant and at the same time draw salary and other benefits from the public fund, while appearing against the Government instead is a “serious conflict of interest amounting to professional misconduct”. Earlier, Supreme Court judges, Justice Kurian Joseph and Justice KM Joseph had also contributed to the drive organised by Apex Court lawyers on Saturday to collect relief materials. Materials such as bed sheets, nighties, t-shirts, sanitary napkins, diapers biscuits, rusk, maida, dal, undergarments etc. were collected from 4.30 PM onwards, at the ILI campus opposite the Supreme Court. Justice Kurian Joseph had in fact chosen to stay at the premises till midnight, and had commended the spirit of lawyers, remarking – “Law has become live now”. His presence charged-up the volunteers, inspiring his personal security staff to make contributions as well. Judges of the Kerala High Court also reportedly visited certain certain flood relief camps on Sunday, interacting with the inmates and taking stock of the condition in the camps. While Justice Shaji P. Chaly visited the camp functioning in the Maharaja’s College, Justice Devan Ramachandran and Justice Jayasankaran Nambiar visited the camps at Pallippuram. Kerala is facing an unprecedented crisis, as it has been hit by the worst-floods in 100 years. After heavy monsoon downpour, 35 dams have been opened and 44 rivers are overflowing, deluging most towns of the state across its length and breadth, resulting in loss of about 300 lives. More than 3 lakhs homes and 10,000 kilometers of road have been destroyed. The loss caused is estimated to be about Rs.19,000 crores. About 82,000 persons are reported to have been displaced and shifted to relief camps in the last nine days. Relief and rescue operations are being undertaken by a team under the National Disaster Response Force. Necessary food and other items are also being sourced from various sources, with citizens teaming up to help in contributing towards several funds constituted for the purpose. The legal bigwigs have stepped forth as well, with Attorney General for India KK Venugopal having donated Rupees One Crore to Kerala Chief Minister’s Distress Relief Fund. His son and Senior Advocate Krishnan Venugopal has contributed another Fifteen Lakhs for the relief activities.